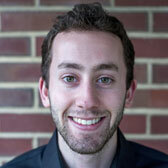 Ben is a former undergraduate research assistant, joining the Hetrick Lab in 2010 through the IU STARS Program. Ben worked with Dr. Hetrick throughout all 4 years of his undergraduate education. His primary research project examined the effects of a cognitive task on brain electric microstates. He completed a Neuroscience Honors Thesis on this work, which is now published in NeuroImage. Ben has been a Neuroscience PhD student at Washington University in St. Louis since 2014. He is a member of the Petersen Lab currently studying individual differences in functional brain network organization and their relationships with behavior. He hopes to finish his PhD training by May 2019.